Yule Log finders Sydney Weber and Amber Kiniston, from left, discovered the log at iconic More Barn. STEAMBOAT SPRINGS — Two Steamboat Springs natives followed the clues, which led them to discover the yule log at one of the city’s iconic barns. 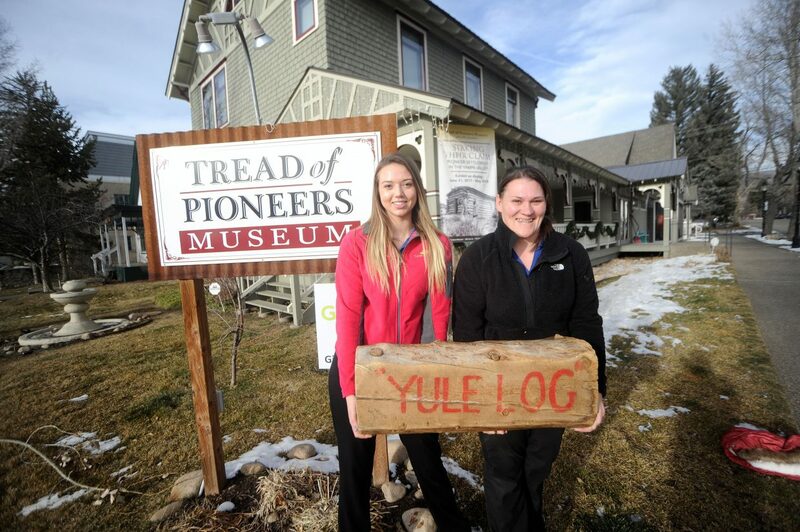 Sydney Weber and Amber Kiniston won the 2017 Yule Log Hunt tradition, which is organized annually by the Tread of Pioneers Museum in Steamboat. Weber ultimately found the log early Monday morning tucked under a shed at the historic More Barn. “I thought it was just another log, but then I saw another log under there,” Weber said. Weber said footprints leading up to the log were a clue, in addition to the six clues that had already been published in the Steamboat Pilot & Today. Candice Bannister, executive director of the museum, wrote the clues this year, and she hid the log just hours before it was discovered. Jane Hill used to write the clues, and Bannister said Hill was always careful to cover her tracks after hiding the log in the snow. This year, Yule Log Hunt organizers decided not to hide the log until the sixth clue was revealed with the hopes of extending the game. The initial clues can be deceiving and do not typically indicate where the log is located. Clues this year led people up to the Buddy Werner statue at the top of Mount Werner. “We’re trying to keep people in the game a lot longer and keeping people on the journey,” Bannister said. 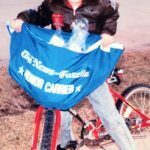 Previous clues had given vague references to barns, and Weber and Kiniston, who both work at Casey’s Pond Senior Living, also searched the Arnold Barn. For finding the yule log, the women received $150 and got to write their names on the log, which will be hidden again next year.